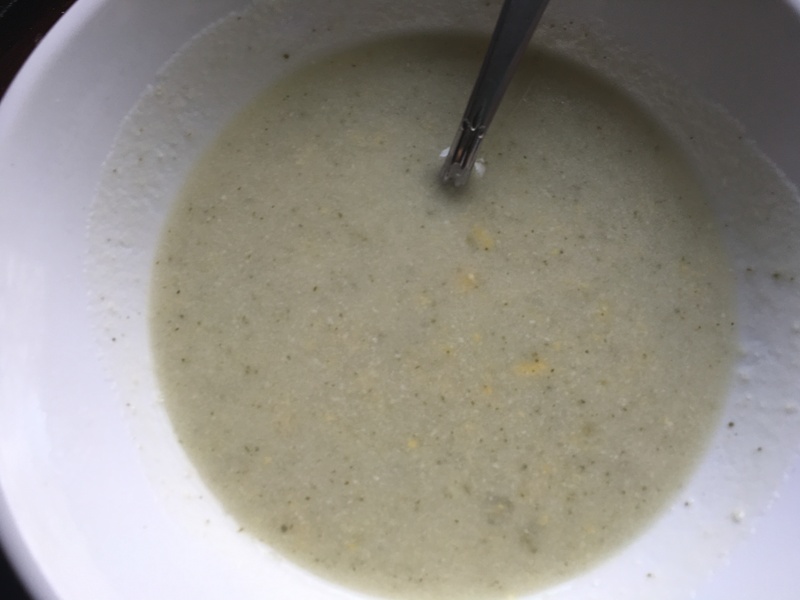 Last month we visited my sister and her family in Idaho, and while there she made us this super yummy creamy potato soup, which is vegan and gluten-free. My kids begged me to get the recipe so I did and we’ve made it a couple of times since :). You get the creaminess from the raw cashews. Enjoy! In a large pot, cook/saute your onion, garlic, and celery in olive oil for just a couple minutes, until your onions are softened. Add your potatoes to the pot along with 7 1/2 cups of water. Allow to simmer for 10-12 minutes (or more, if you’ve cut your potatoes bigger than 1/2 inch cubes) or until potatoes are fork tender. Once potatoes are tender, or nearly so, add your corn. In a high-power blender (I use Blendtec), place 1 1/2 cups water, 1 cup raw cashews, salt, onion powder, parsley and nutritional yeast. Blend on high until the mixture is nice and smooth. 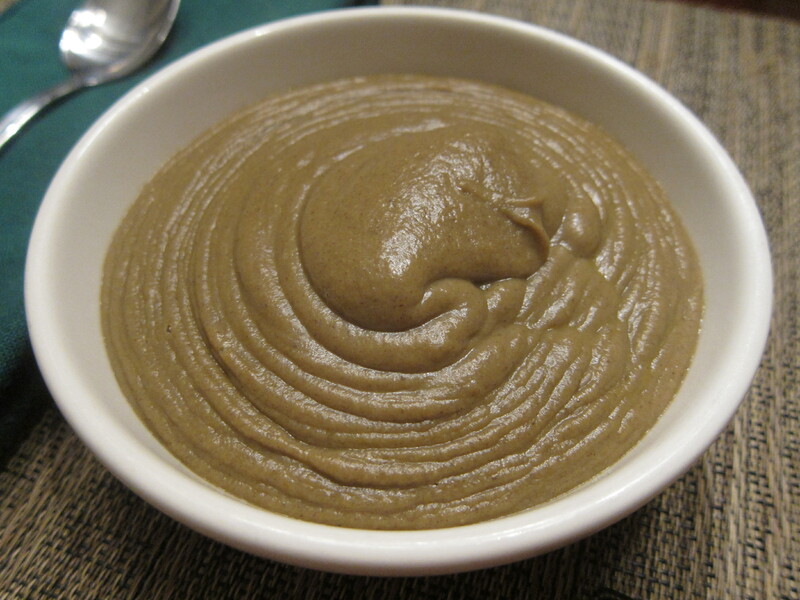 Add blended cashew mixture to your pot and stir until everything is well-incorporated. You can eat the soup as is, or you can blend a few cups of the soup and pour it back in(or use your immersion blender), to make it a little more smooth and creamy(which my kids prefer). 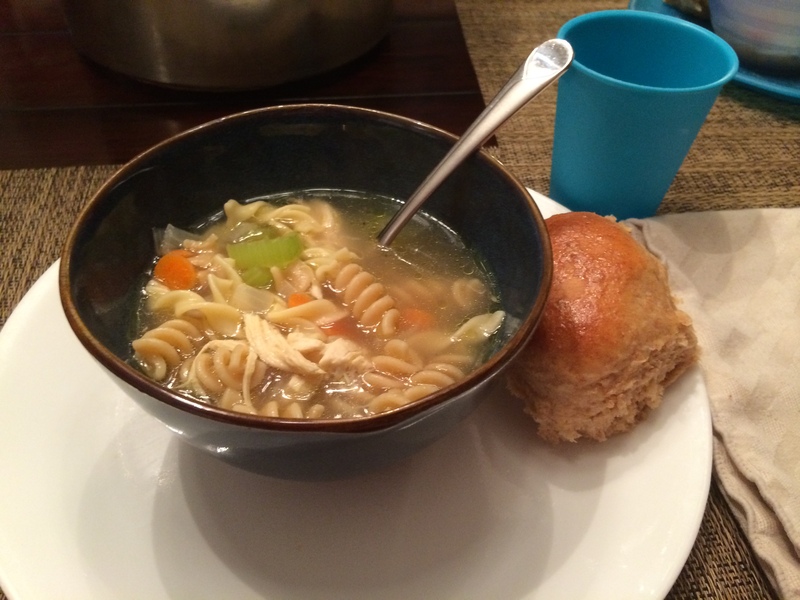 Serve soup hot with your favorite crackers or rolls. Leftovers can be refrigerated for up 3- 5 days and reheated. *freezing does not work so well with this recipe. The liquid tends to separate and it makes for an unusual consistency. We were able to spend the Thanksgiving holiday with my husband’s family in North Carolina which was wonderful. Any family time is wonderful! 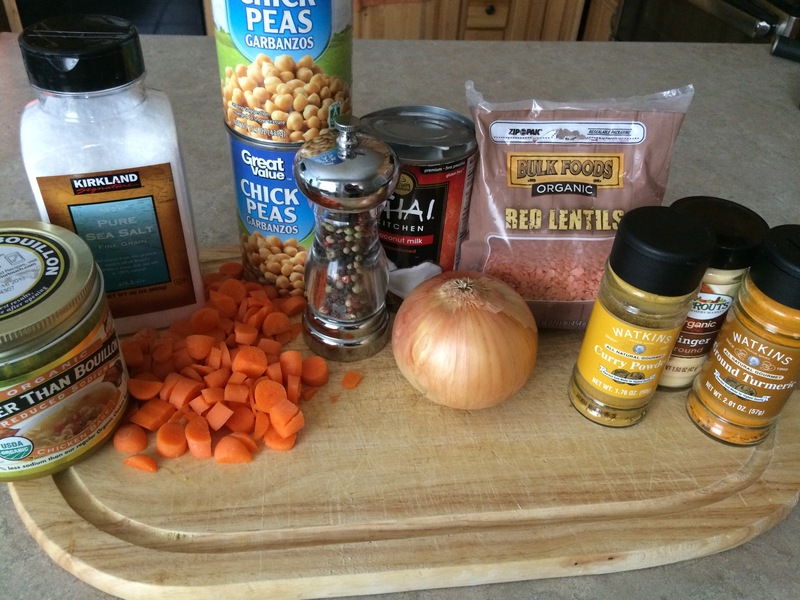 While there, his sister had us over for dinner one night and made a Bean and Lentil Chili that we loved. 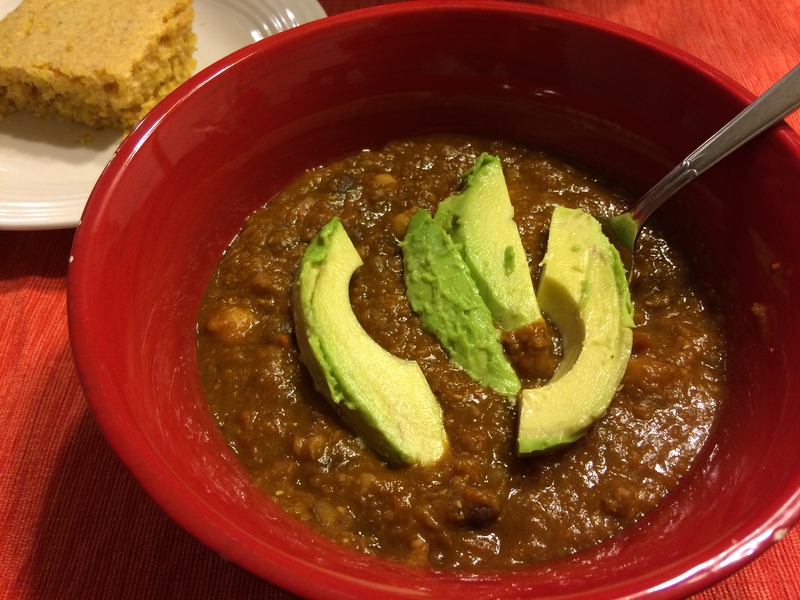 I got the recipe from her, made a couple of little changes and we had cornbread and chili for dinner this week which was perfect with our freezing temperatures here in Utah. It took me a little over half hour to make this, and while it cooked (cooks for 30 minutes), I threw together a cornbread recipe and got that cooking at the same time so that everything was ready together :). I will share that cornbread recipe next week so be sure to check back next Wednesday for that. In the recipe, once I’ve cooked all the diced veggies and the lentils etc, I used my immersion blender to blend up and thicken the chili for about 15 seconds. If you don’t have an immersion blender, you can either just leave it as is, or if you like it thicker like I do, put about half of the chili in your blender (be careful cuz it’s hot! ), pulse it a few times and then dump it back in with the rest of your chili. I dice my veggies pretty fine because my kiddos don’t love big chunks of anything. Serve with toppings of your choice like grated cheese, sour cream (and if you made it too hot for your liking, this will bring down the temp), sliced avocado, tortilla chips, etc. In a large pot, over medium high heat add the olive oil, onion, celery, and carrots. Saute until the onions have softened then add the garlic and cook for one minute. Add the spices and cook another 2 minutes until fragrant. Add the broth, lentils and tomato sauce and raise the heat to high, bringing the broth to a boil. 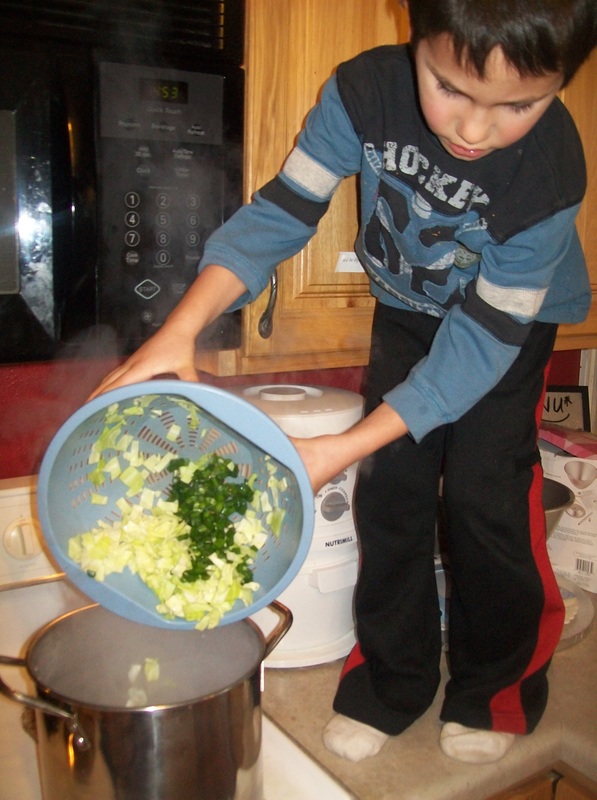 Once it boils, reduce the heat to medium and simmer for about 30 minutes until lentils are tender. 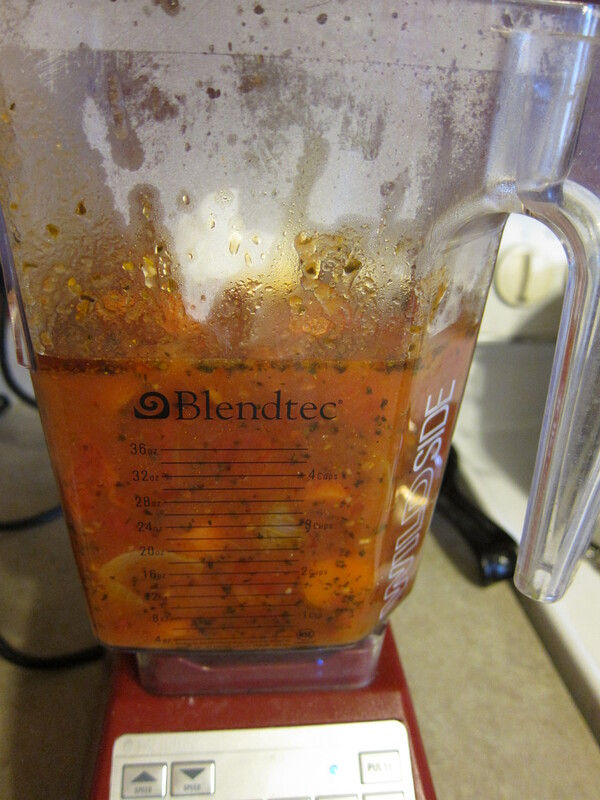 If you have an immersion blender, put it in and blend for about 15-30 seconds, which will thicken the chili. If you don’t have an immersion blender, you can put about 1/2 of the chili into a normal blender, puree, and then dump back into the pot; but be careful, because it’s hot. Add the beans and honey and optional tomatoes and hot sauce. Serve warm in bowls with toppings of your choice. 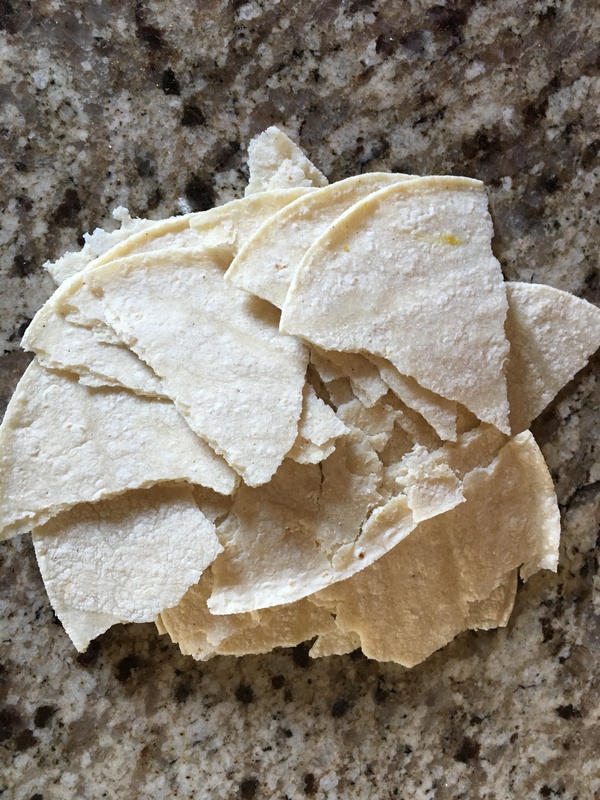 Some favorites are grated cheese, sour cream, avocado slices, tortilla chips. I also love to have this with a side of cornbread. Thanksgiving is tomorrow! I hope you’ve enjoyed some of our family’s favorite Thanksgiving recipes that I’ve posted over the past few weeks, and if you didn’t get to see them, you can look under the recipe tab, scroll down to the bottom where it says ‘whole foods holidays’ and you’ll see several Thanksgiving, Fall and Holiday recipes. We’ve had some big winds recently that have brought in the cold, and boy did it get cold! We went from high 60’s and low 70’s to the teens and twenties. 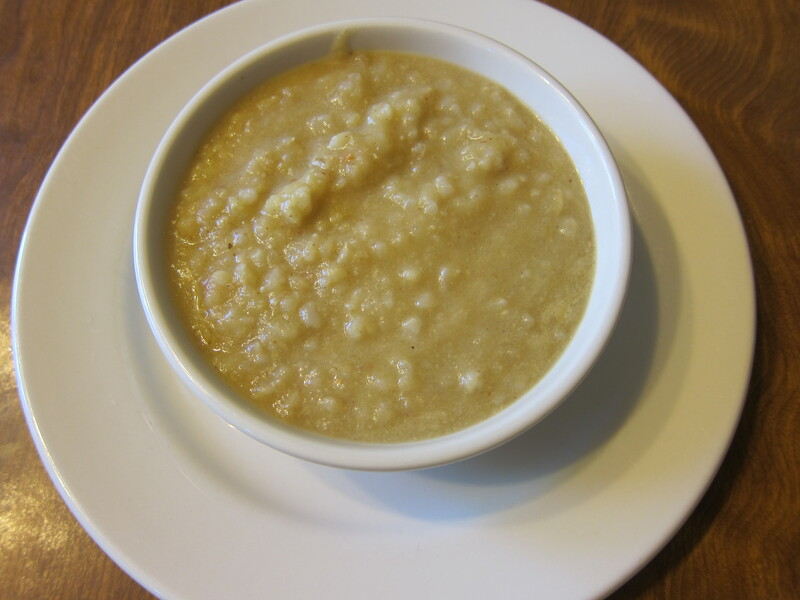 When it’s that cold, all I feel like cooking and eating are warm foods and we’ve got a nice, warming recipe for you today that is simple and fast to put together. I love those kind of meals. So if you have a busy day ahead of you, get this started in the morning before you take off for work, or when you have a few minutes during the morning and afternoon. 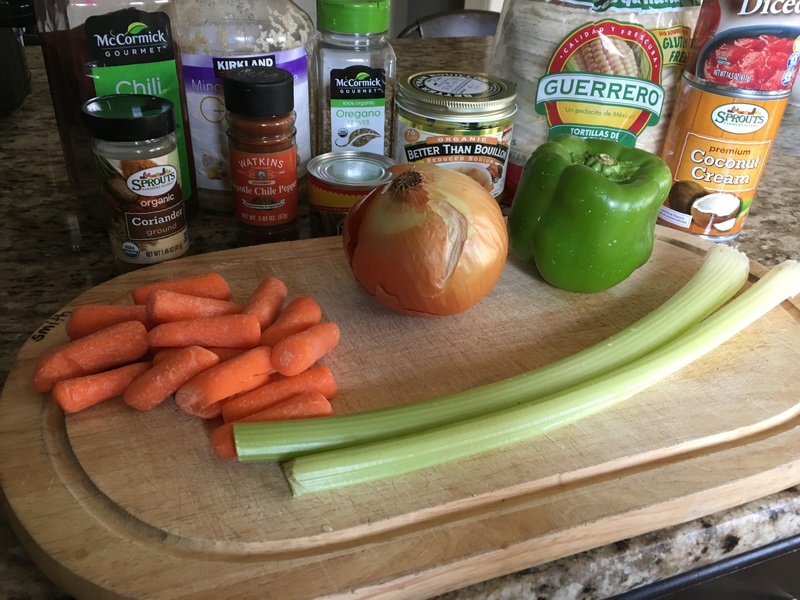 You chop up an onion and some carrots, throw all your ingredients in the crock pot and let it cook for either 4 hours on high or 8 hours on low. And that’s it! 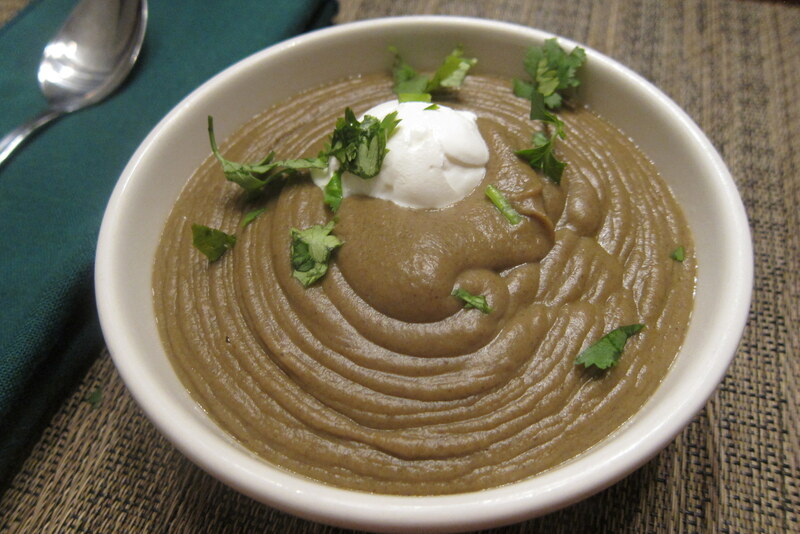 We served this soup with some bread on the side which the kids enjoyed dipping. Put all ingredients in Crock Pot, mix and cook on high 4 hours or low 8 hours. On Monday morning(Nov 10), here in the Denver area of Colorado, it was 60 degrees and sunny, so once the three oldest were off to school, I took our youngest two girls out for a walk. We brought a soccer ball and passed it to each other along our green belt. By ten that morning, cold winds began to blow in, and they were strong. The girls and I brought all our stuff in from outside in the back yard, lawn chairs, jump rope, scooter etc., and by 1030, when we headed out the door for Costco, it was freezing, literally freezing; my phone read 27 degrees! What a change from that warm and sunny morning just an hour before! That afternoon snow began to fall. Unfortunately, we forgot to send a winter coat with Annabelle, our first grader, that morning. Bad mom award, right here! When I picked her up from school, along with Elisabeth and Charles, Annabelle told me that she was very cold during lunch recess. I was shocked they let her out without a coat! At our school in Utah, if you didn’t have a jacket when it was freezing, they kept you inside. Well, we live and learn. And she definitely remembered her coat this morning and I think she will from now on, and if she doesn’t, I will! By the way, today the high is 5 degrees and it is currently 1 degree outside. The low will be negative 3. Brrrr! The good thing about Colorado is it doesn’t last for long; we get warm and sunny days interspersed with cold and snowy ones. When the temperature drops, I love to cook up soups and chili’s and all sorts of warm dishes. There’s something so comforting about having warm food in your tummy on a cold day. 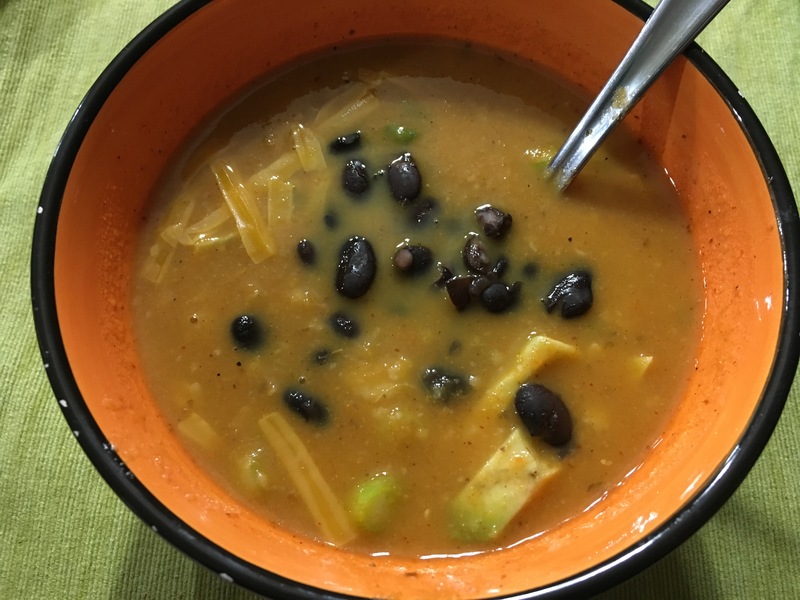 A couple of our children don’t love chunky soups so sometimes we’ll make smooth soups like tomato soup with grilled cheese, or this black bean soup. And my fifth grader, who doesn’t like beans at all, will usually eat some of this :). I think she’s a texture person. 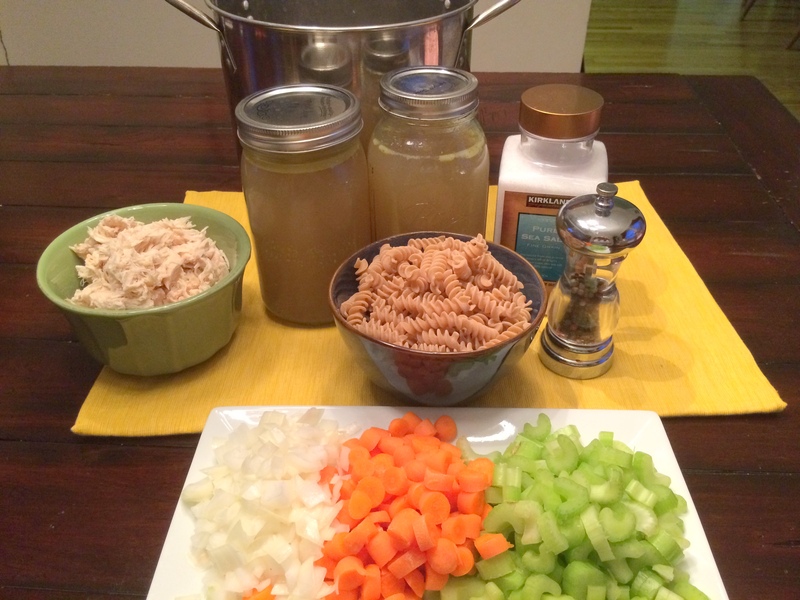 This soup is fairly easy. I can usually have it done within about thirty minutes which is nice for those crazy busy days(read: every day). I also love crock-pot recipes for that very same reason. You’ll start out by sautee-ing your veggies in olive oil, you’ll add in everything else minus your lime juice and optional toppings. Let it simmer for about 20 minutes, and then puree it all in a blender. I need to get one of those immersion blenders so I don’t have to transfer my hot soups into a blender; I always seem to spill or splatter, sometimes on the counter, sometimes on myself, which doesn’t feel good…maybe for Christmas :). Until then, I should probably use a ladle to pour most of it into the blender. Once it’s in there, blend it until it’s smooth, then add your lime juice, and pulse it a few times to combine. 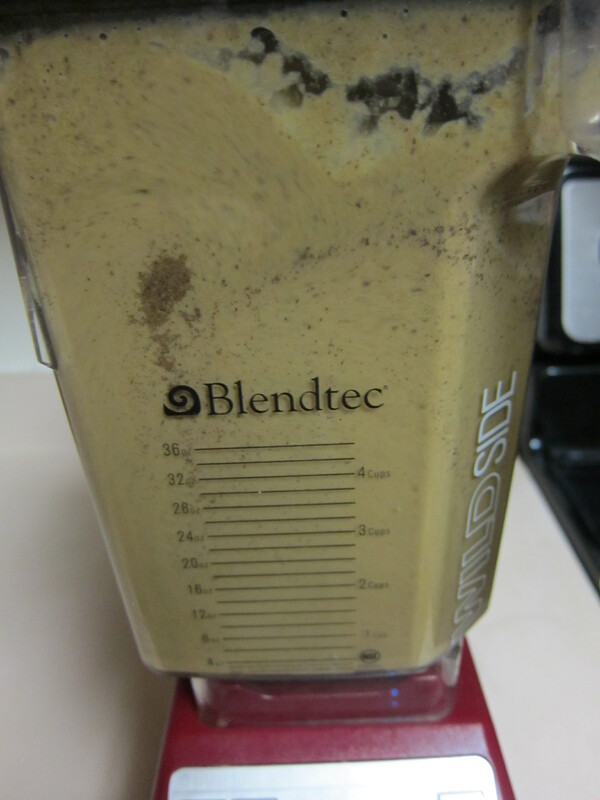 Have I ever mentioned that I love my Blendtec blender? It’s amazing! Grinds anything! And Blendtec has a long warranty (I think it’s around 10 years) and amazing customer service. I’ve gone through 3 blender jars in the 4 years I’ve had it and haven’t had to pay a cent and the process was easy and fast. The motor has been great these four years and we haven’t had any problems with it. I use it every morning to make green smoothies, and then I use it probably weekly for other things like soups, chopping nuts, making flours from grains (though I have a nutrimill too which I use to grind most of my grains, but it can’t do flax seeds and the blendtec can) fruit smoothies, salad dressings etc. It’s yummy and flavorful just as is! You can also add a variety of toppings. We usually dip a few chips in while we eat, and add a little sour cream, grated cheddar cheese and chopped cilantro. Enjoy! 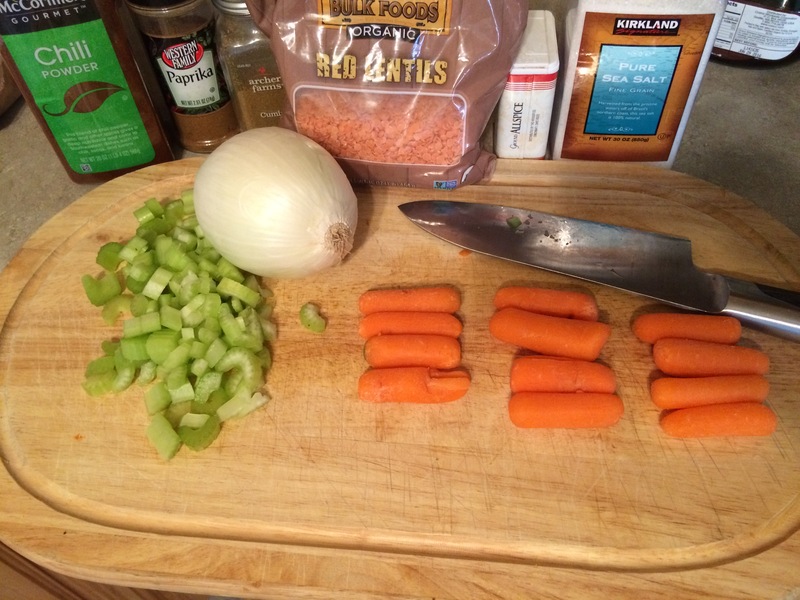 In a large stock pot, add olive oil, carrots, celery, onion and garlic. Cook over medium heat 5 minutes. Add in black beans, chilies, broth, salt, pepper, chili powder, cumin and oregano. Stir to combine. Simmer uncovered about 20 minutes or until carrots are tender. Remove from heat. 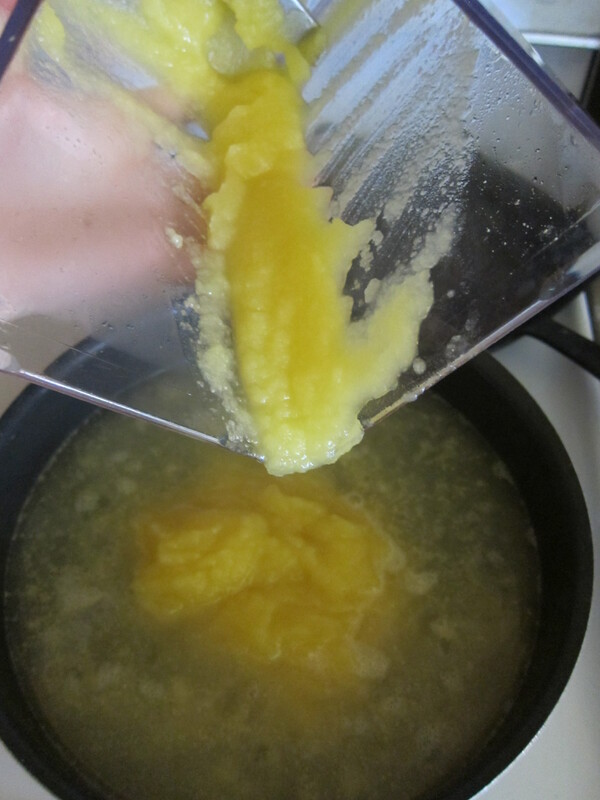 Place soup in blender(or use immersion blender) and puree until smooth. Add in juice from 1/2 a lime or 1 Tbsp lime juice and pulse to combine. Ladle into soup bowls and add any optional toppings. Growing up, I refused to eat tomato soup. Not even with a sandwich dipped inside. I’m not sure exactly what it was, maybe it was how runny the soup looked, or the thought of a tomato based dish…I’m not really sure, but either way, I didn’t want to have anything to do with it. 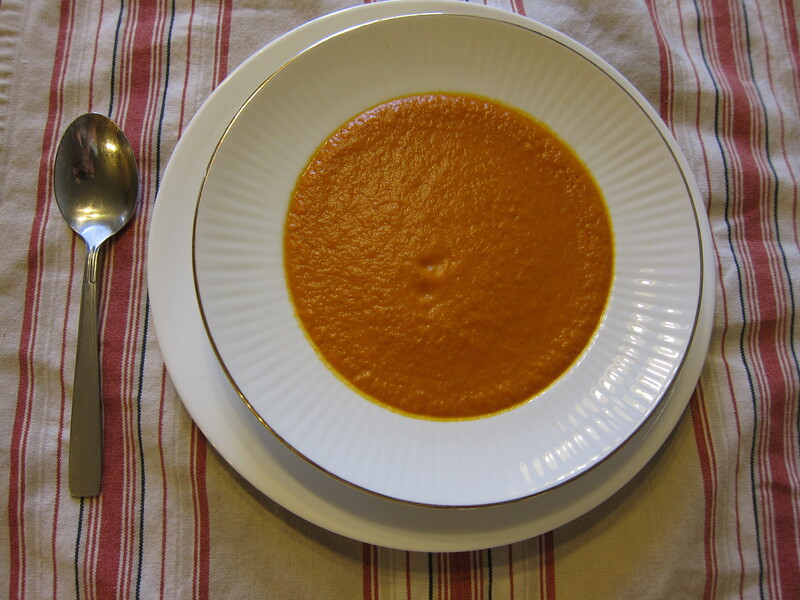 About a year ago I was reading recipes (a favorite pastime) and read through a tomato soup recipe that sounded like it’d be thicker than your typical really runny soup and so I thought I’d give it a try, making a few small adjustments of my own. Since then we’ve made it several more times because my family loves it! My kids won’t just go to town slurping up their soup, but they nearly finish their bowl by dipping their whole wheat sandwich inside, and I’m cool with that :). 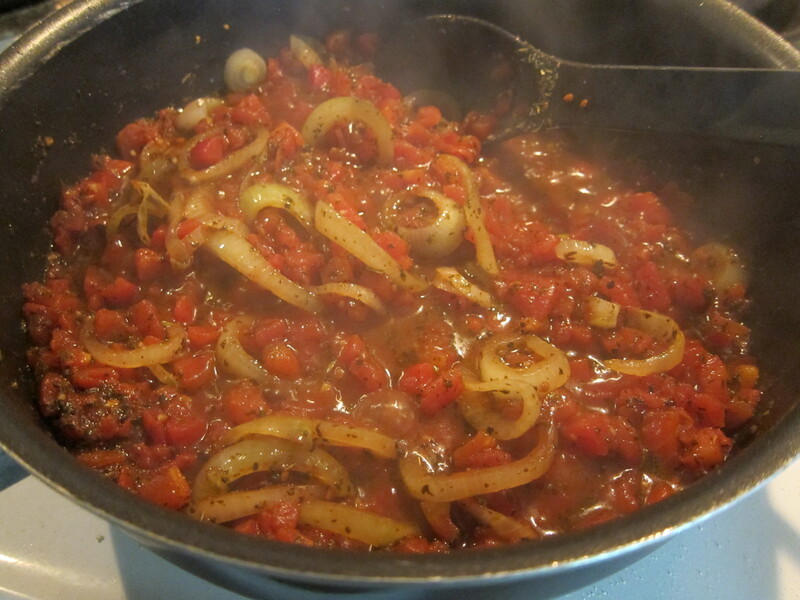 Start off by heating your olive oil in a large sauce pan over medium heat and slicing up your onions. They can be big slices because you’re going to throw them in the blender anyway. But we want the full flavor so don’t skip this step. Add your garlic. 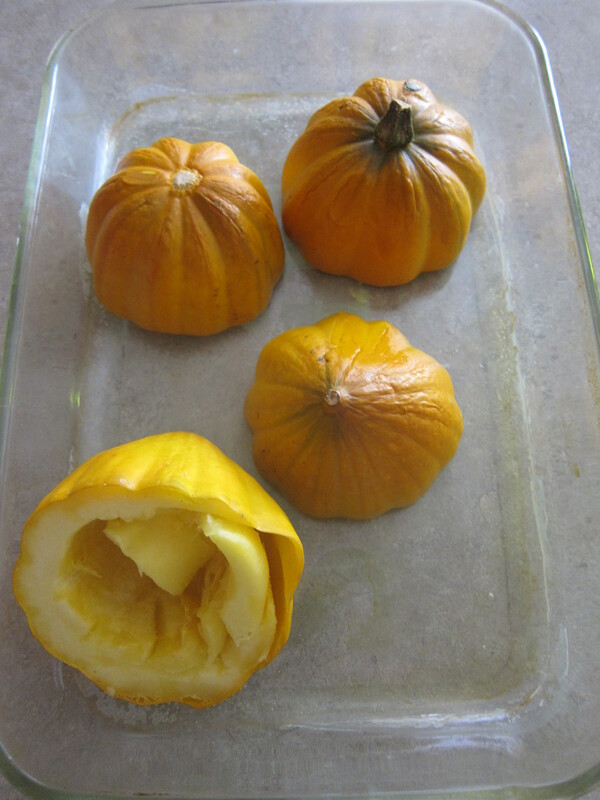 Once they’ve softened up a bit, you’ll add in your tomatoes and spices, bring it to a boil and cook it for about 5 minutes until your veggies are tender. Dump or spoon your tomato mixture into a blender (but be careful because it’s super hot) and blend until smooth. Then return the now smooth tomato mixture back to your saucepan, stir in the coconut milk (or heavy cream), and broth and serve. 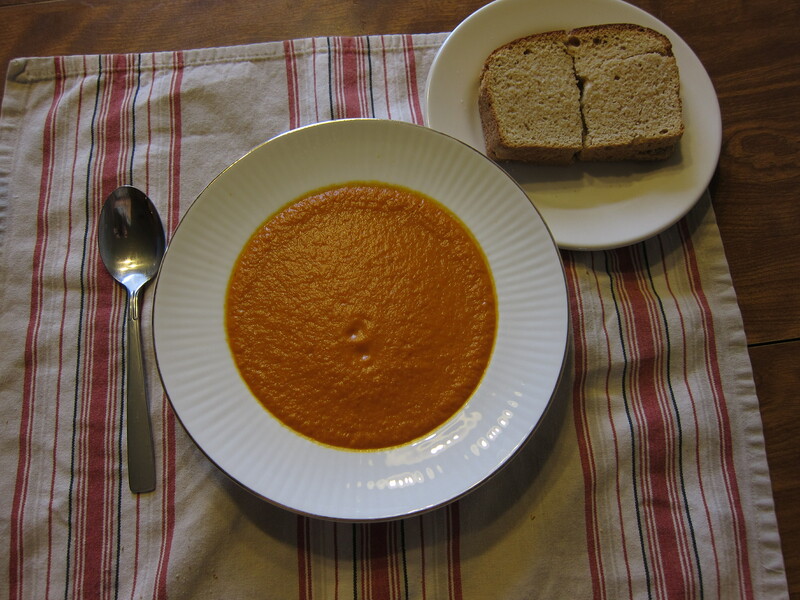 We like to eat this soup with grilled cheese sandwiches made on whole wheat bread. My husband and I like to add tomato slices, pesto and avocado to our mozarella cheese sandwich. The kids prefer just plain cheddar cheese melted on bread. 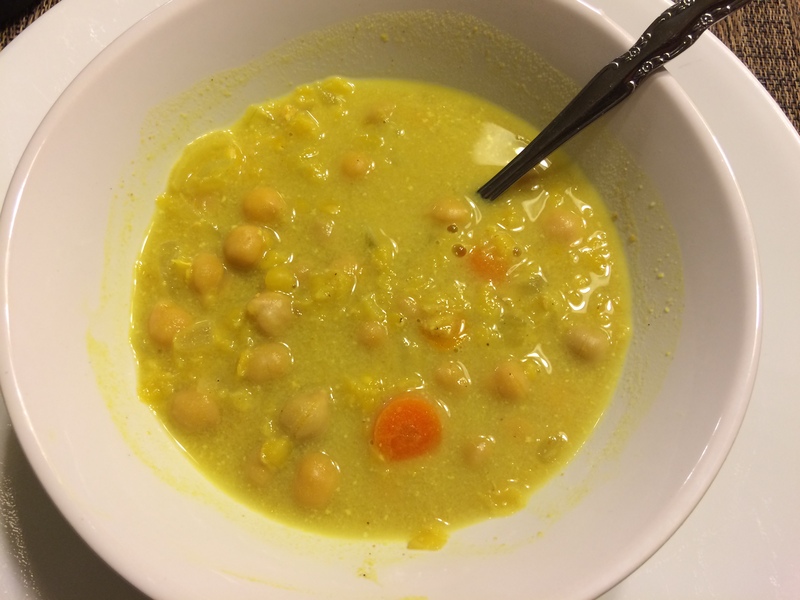 This soup also great as a leftover; I save it in a mason jar and have it during the week for a quick, yummy, warm lunch. 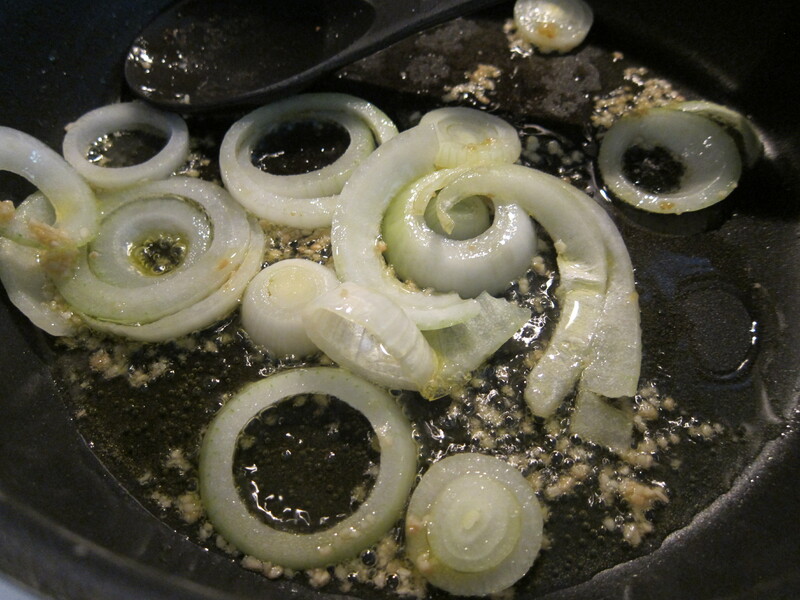 In a saucepan, saute onions and garlic in olive oil over medium heat. Add tomatoes, basil, Italian seasoning, oregano, salt and pepper. 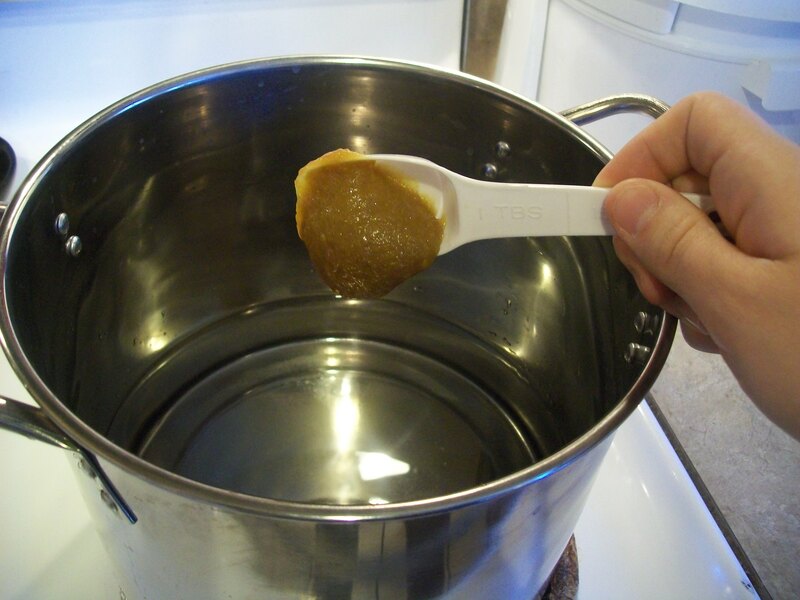 Bring to a boil and continue to boil 5 minutes or until some of the liquid evaporates. Blend in blender until smooth. Return to saucepan and stir in whipping/heavy cream, butter and broth. Simmer 5 more minutes on low to medium low heat. Serve with cheese sandwiches. *I like to make grilled cheese sandwiches with a little coconut oil on the bread before grilling; butter works well too. We saw Kung Fu Panda 2 at the dollar theater some months back. It was pretty awesome. Soon after, we checked out a book from the library that had a bunch of recipes in it from the Kung Fu Panda movies. 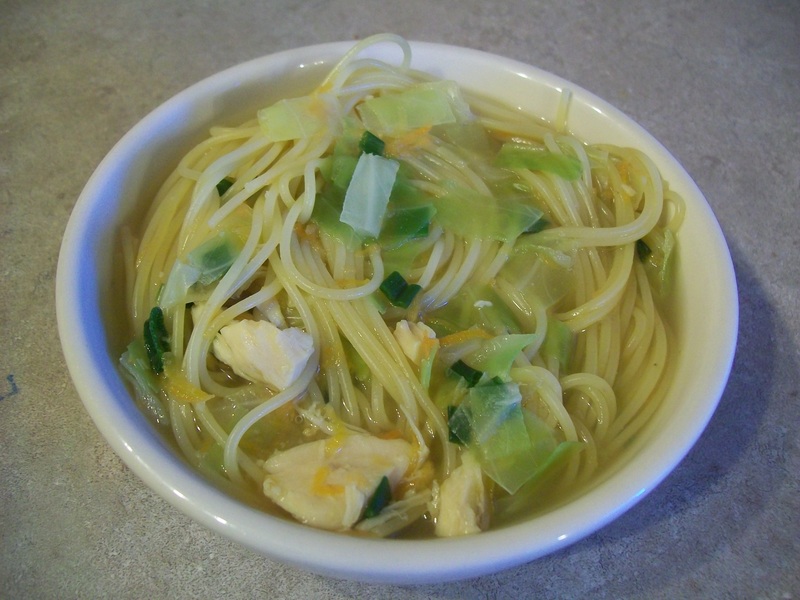 Charlie, my six-year-old, begged me to make Mr. Ping’s Secret Ingredient Noodle Soup so we did, making a couple of our own changes to the recipe, and it is now his favorite meal. 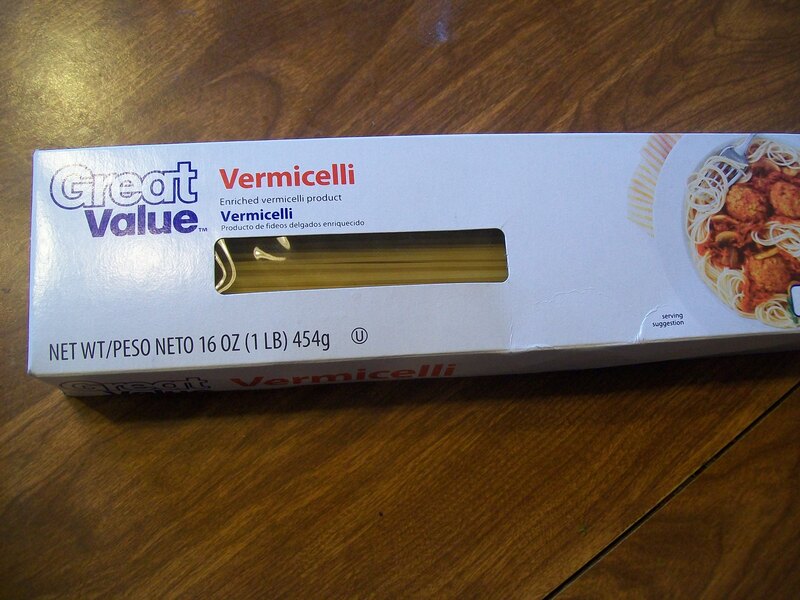 Every week the kids can choose a meal for dinner and he almost always chooses this. In fact, pretty much all our kids choose the same thing every week so we recently made a new rule: you can’t choose the same thing two weeks in a row; they could still choose it every other week if they please. Anyway, on their night, they’re to help with some of the dinner preparations, that way they’ll learn how to make their favorite dishes and hopefully when they’re a little older, they can actually be in charge of dinner. I’m excited for that day! This soup is basically a chicken noodle soup. Everyone in the family likes it except our oldest daughter who is almost 8. But since we make it often enough(and we always make them eat a couple of bites each time), I think one day she’ll warm up to it. It makes enough to feed our family of 6, with some leftovers. Charlie usually eats all the leftovers himself for lunch and dinner the following day. Alright, let’s get started. 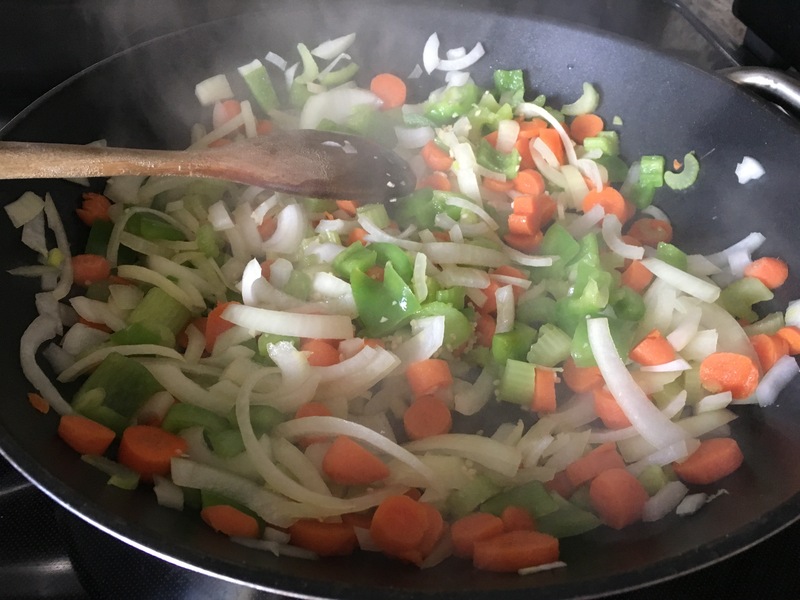 Take out your medium sized stock pot, chicken, cabbage and carrots, ginger, liquid aminos(you can find this at a health food store and it’s a soy sauce substitute), green onions, pasta, and your cutting board and knife. 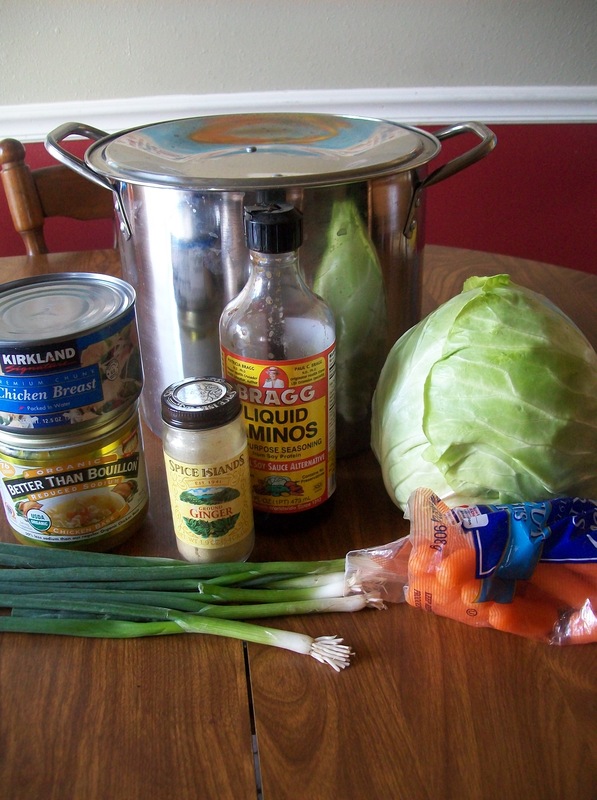 Put your stock pot on the stove with water and bouillon or chicken broth and turn on the stove. You’ll want to bring it to a boil. While you’re waiting for the water to boil, peel and grate your carrots. 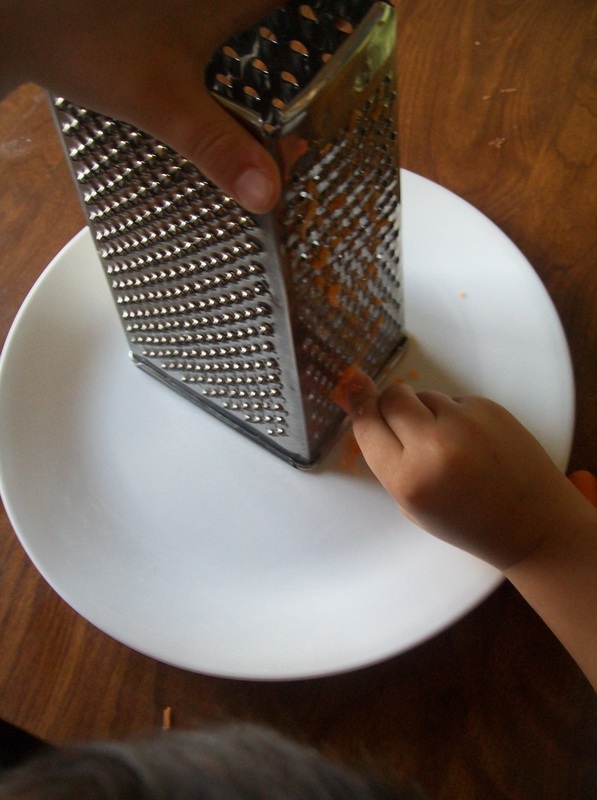 I grate them on the smallest grater side(Charlie was grating in this picture). 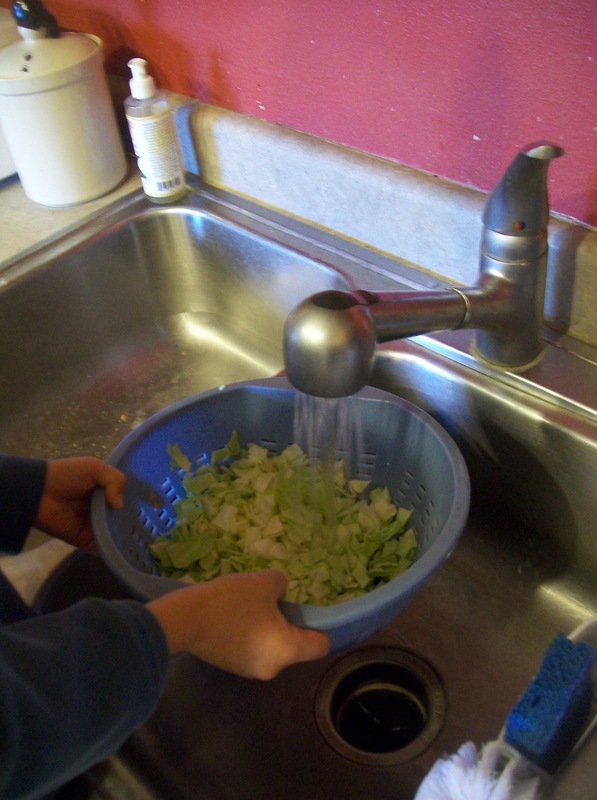 Chop up your green onions and cabbage and then rinse them off. 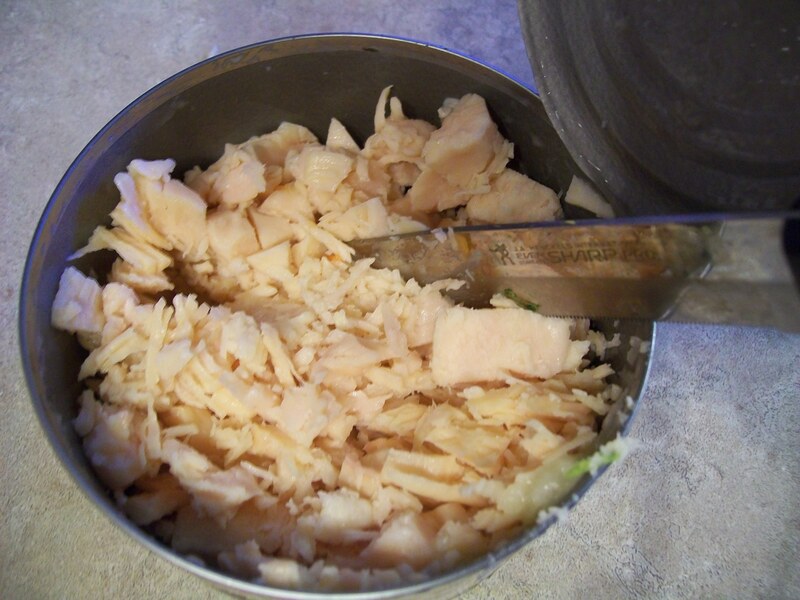 If you’re using a can of chicken, go ahead and open it and take your knife and chop the chicken up into smaller chunks. I also like to cook a couple of breasts in the crock pot on low for 6 hours or until no longer pink and nice and tender. 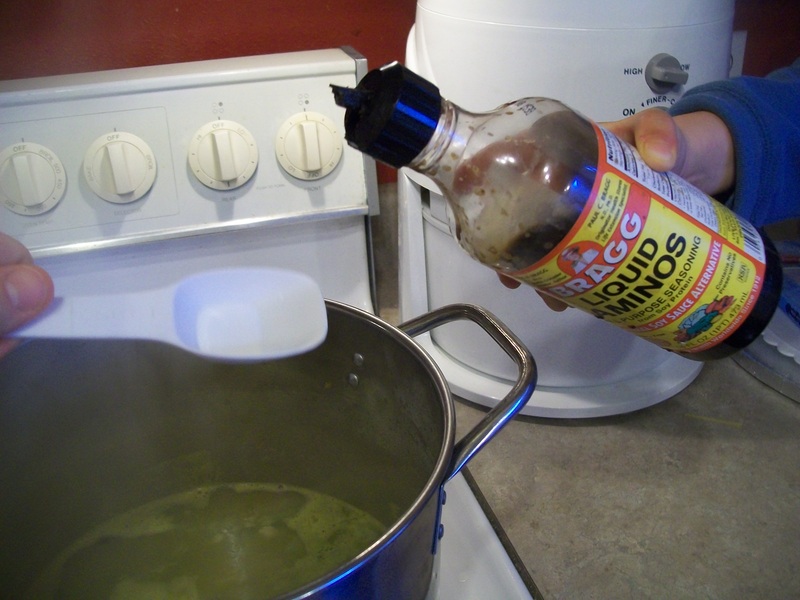 I cook it with 1/4c water and 1/2 tsp better than bouillon, 1 tsp of garlic and 1 tsp dried onion. Once your water is boiling, add in your veggies and chicken. At this point, reduce your heat to medium and allow it to simmer for about 5 minutes. I like to wash some of my cooking dishes and put things away at this point. Once your five minutes is up, add in your noodles and let it cook another 5 minutes until the noodles are tender. Then go ahead and add in your liquid aminos and ginger, stir it up well and it’s ready. Heat the broth in a medium sized stock pot until it begins to boil. 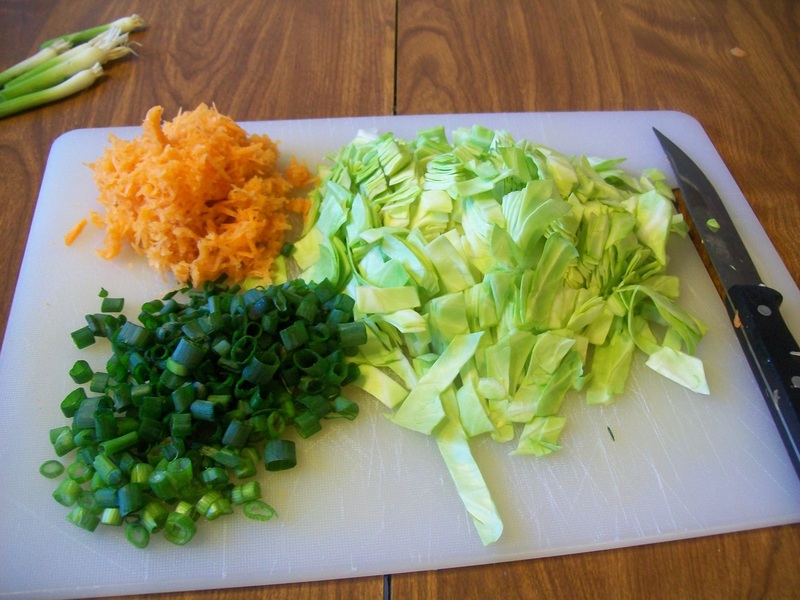 Add the cabbage and carrots, green onions and chicken. Reduce heat to medium and simmer for five minutes. Add the noodles and cook until the noodles are tender, approximately 5 minutes. Add the liquid aminos and ginger. Stir well. Simmer for one minute. Carefully divide the soup; it will be very hot.